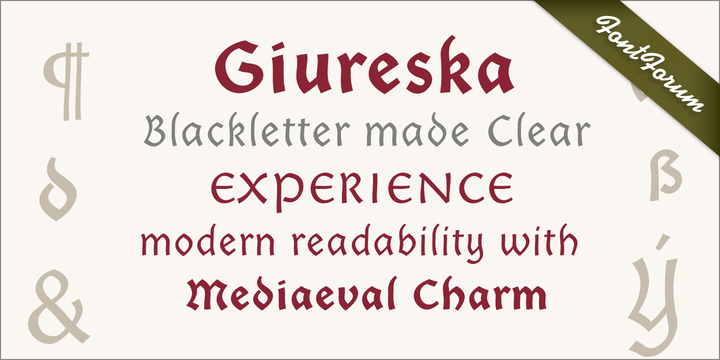 Giureska is a typeface created by João Henrique Lopes and published by URW++ that is recommanded for short text with a Medieval look. Enjoy! A font description published on Friday, June 21st, 2013 in Fonts, URW++ by Alexandra that has 2,507 views.